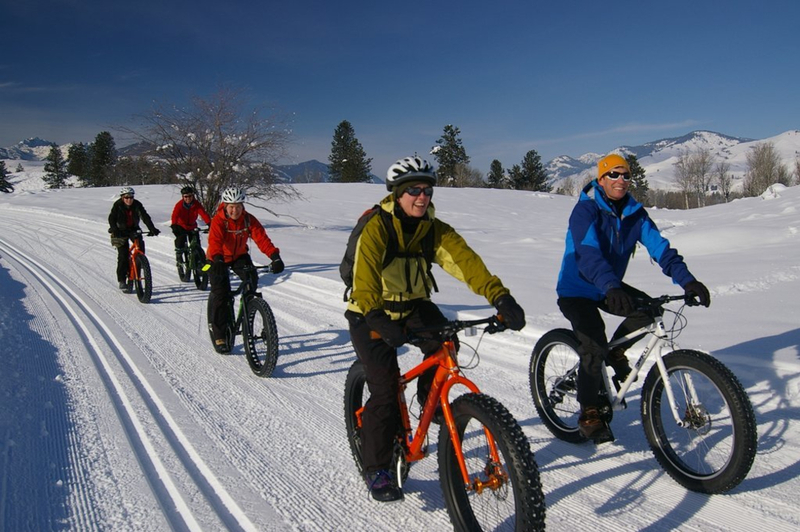 Methow Valley's winter trials aren't just for cross-country skiers anymore: now fat tire bikers can get in on the fun. Fat bikes may be the fastest growing sector of the biking industry, but in Washington snow-biking trails are still a relatively rare breed. Thankfully, Methow Valley, home to the country’s most extensive network of cross-country routes, has opened up some of their trails for cycling, providing a good time for the fat bike curious and converted alike. In case you need a primer, fat bikes are just mountain bikes with big, fat tires (hence the name) that can run at a very low pressure. 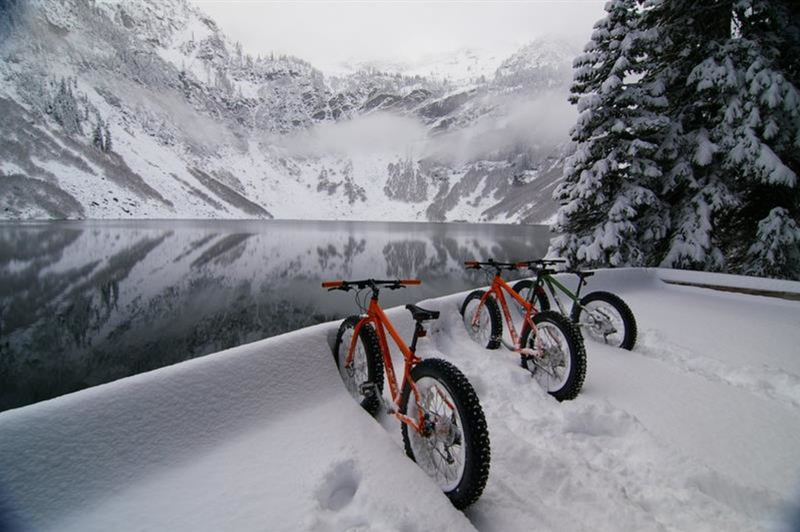 While most bikes would sink down into fluffy white powder, fat bikes float on top of it – meaning that mountain biking has officially become a four-season affair. The only things that make riding fat bikes different from regular mountain bikes are the additional layers you’ll probably want to wear in order to brave the cold. Methow Trials, a non-profit organization that sustains much of Methow Valley’s winter recreation, assesses which trails to open to fat bikes on a daily basis. 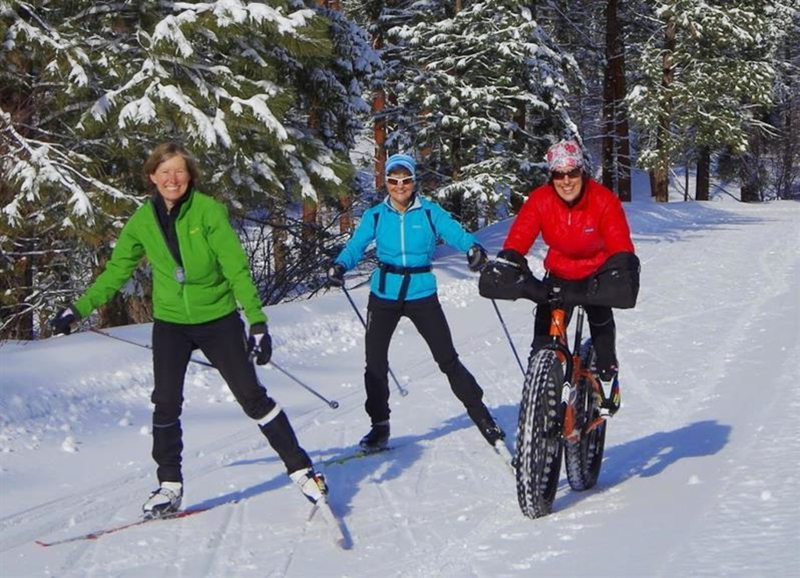 There are four locations within Methow Valley where it is possible to fat bike: Big Valley, Rendezvous, Town Trailhead, and Sun Mountain. To see what tracks are open before you go, check the Methow Trails grooming report. Once on the trail, keep in mind that cross-country skiers still have the right of way. Methow Valley asks cyclists to stay out of the classic ski track, to give skate skiers a wide berth, and to stay on their bikes (because footprints damage the trail). The organization is still largely experimenting with how well cyclists and skiers can coexist: play nice, or the trails could be taken away from you. Mountain biking enthusiasts who never before understood while some people get so excited about winter. After fat biking through Methow Valley’s trails, they may finally understand the particular magic of snow season. Check the MVSTA website before going to check which trails are open, and park at the designated area. All bike tires must be wider than 3.6 inches, and have pressure less than 10 psi. All riders are required to display a trail pass, except within Big Valley. 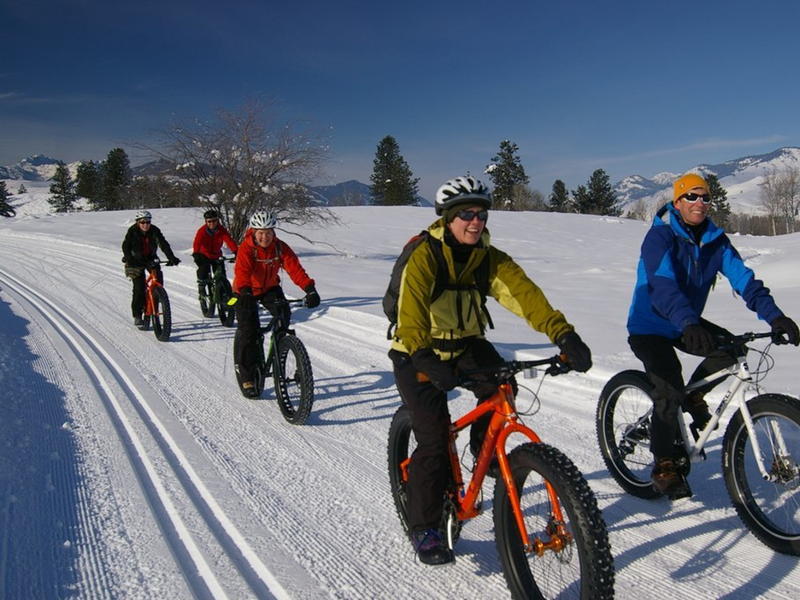 Methow Cycle and Sport in the town of Winthrop rents fat bikes for $35/four hours or $55/day. They also provide rack adaptors to those who wish to drive their bikes to a particular area.